Tokyo may be the metropolitan capital, but Kyoto takes the cake for the traditional and cultural center of Japan. As Japan’s capital for almost 700 consecutive years until the Edo Period, Kyoto retains much of the nation’s historically and culturally significant structures. While there are so many sights to see in Kyoto, visiting some of its magnificent temples and experiencing Japanese Buddhist culture should be at the top of your itinerary. Not to be confused with shrines, which are Shinto and feature grand torii gates, temples are Buddhist in Japan. Kyoto has over 1600 temples and you probably won’t get to them all in one trip. So how are you to know which to go to? 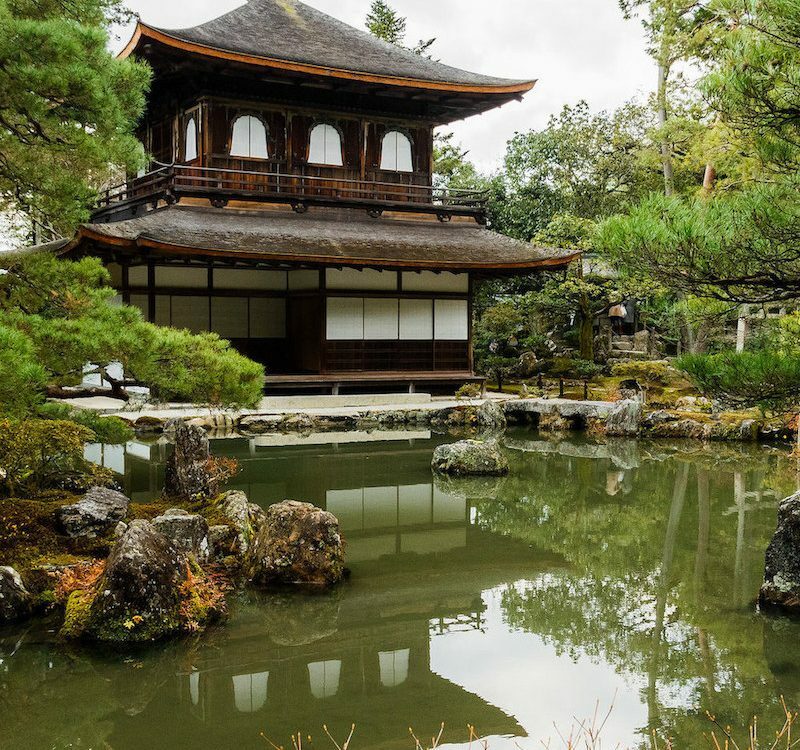 After careful review, we have narrowed the list down to the ten best temples in Kyoto that you absolutely should visit on your next trip. 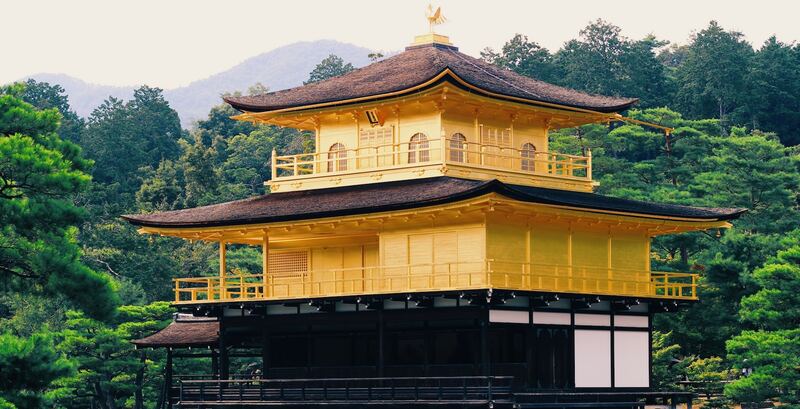 A brilliant symbol of Kyoto, the temple of the Golden Pavilion is not to be missed. 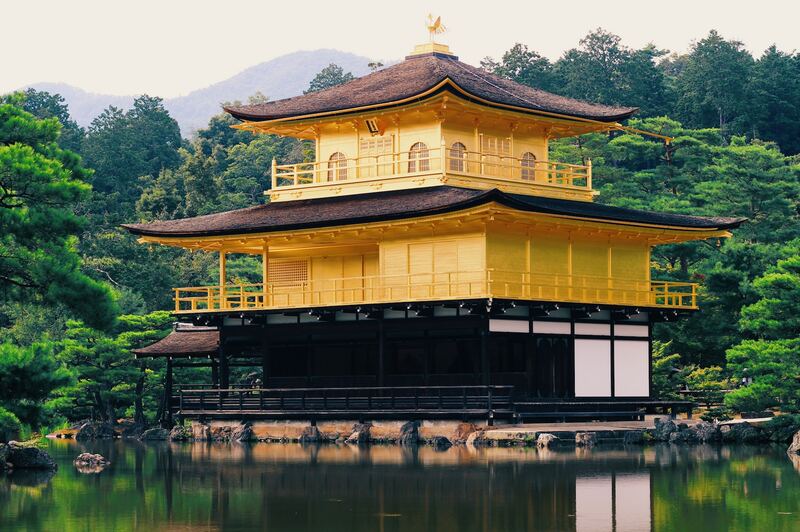 Though its official name is Rokuonji, locals and tourists alike refer to it as Kinkakuji for its unmistakable shining golden color (kin means gold in Japanese). While the pavilion is a spectacular sight, the surrounding grounds are of more subdued hues allowing for peaceful viewing and contemplation. 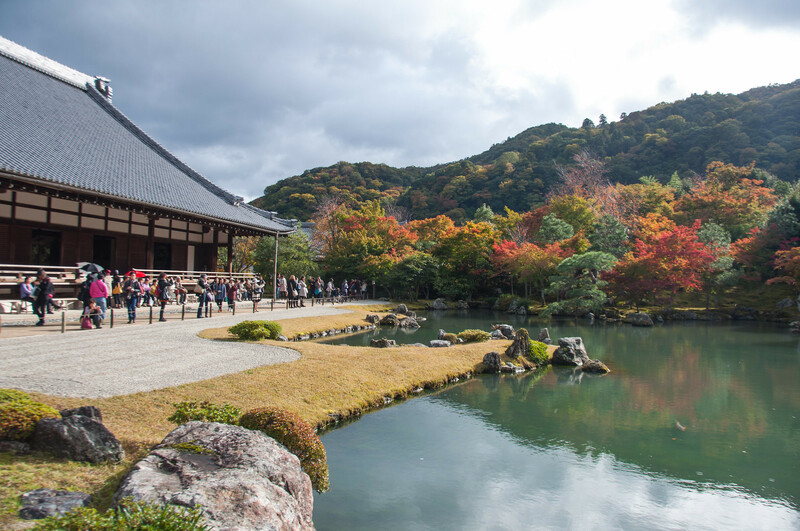 In addition to being a World Heritage site, Kinkakuji is one of the most famous destinations in Japan, and the temple can be crowded during peak seasons and times of the day. Beat the crowds by visiting the temple during the morning on weekdays. 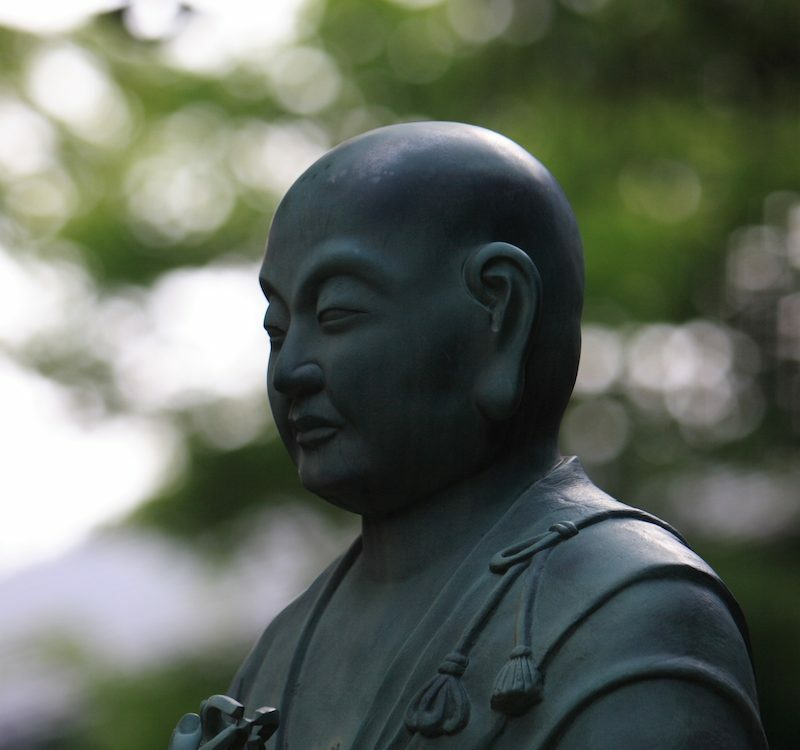 Nanzenji presides over the Kyoto Gozan or Five Great Zen Temples of Kyoto in the Rinzai school of Zen Buddhism. Its massive Sanmon gate is a breathtaking sight as are its rock gardens in the Hojo, the former head priest’s residence. When strolling through the vast temple grounds visitors will be surprised to find a large brick aqueduct that feels a little out of place. 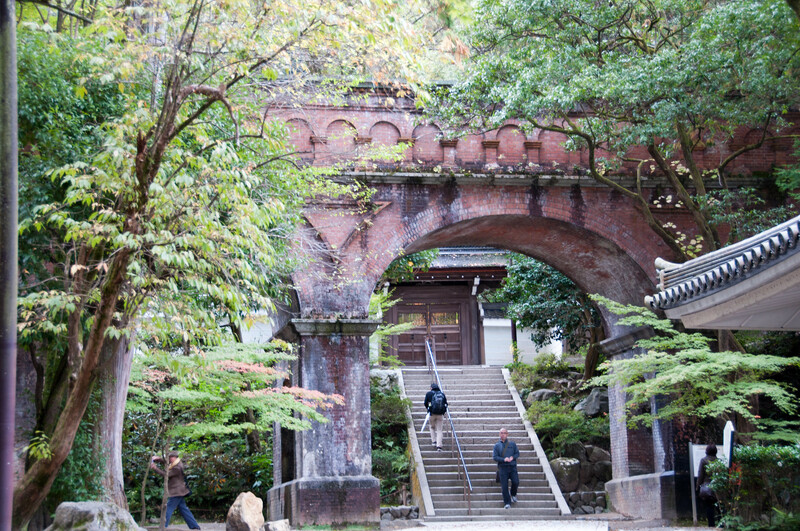 While contrastingly more modern than the other structures of the temple, the aqueduct, constructed in 1890 during the Meiji period, is a pleasant and unique addition to the temple scenery. It is also a great opportunity to get a glimpse into the building styles of the Meiji Era. The Kiyomizudera grounds are vast and full of trees and footpaths interspersing the main hall and the Koyasu pagoda. The temple gets its name from the pure waters of the Otowa waterfall within the grounds. 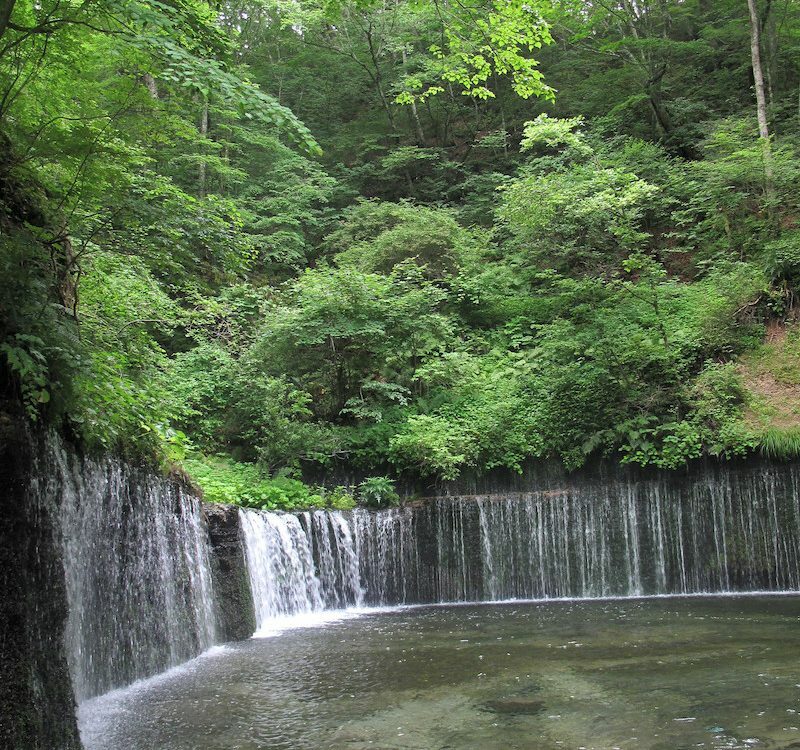 It is believed those who drink from the waterfall may have their wish granted. 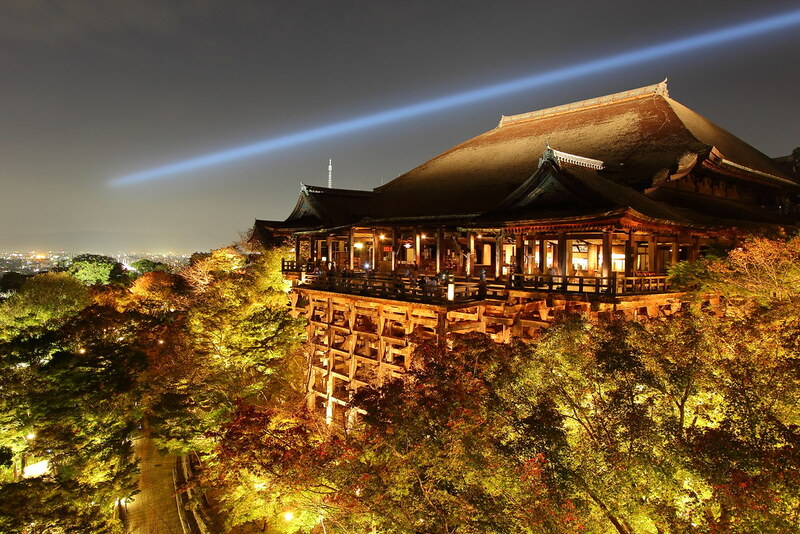 While the Otowa waterfall is integral to the temple and its namesake, Kiyomizudera’s most recognizable feature is without question the main hall and its stage. The stage juts out of the ground, offering spectacular views of all of Kyoto. This stage and the temple grounds become quite crowded in fall when Kiyomizudera holds annual autumn foliage illuminations. With the many shades of red and orange hues lit up the entire temple becomes magically aglow. You won’t want to miss this remarkable sight. Please note the main hall is covered for roof renovation until March 2020. This temple is the head of the Daitokuji form of the Rinzai branch of Zen Buddhism. While the main temple buildings are usually not open to the public, four of the more than twenty sub-temples in the grounds are regularly open for visitors to explore. 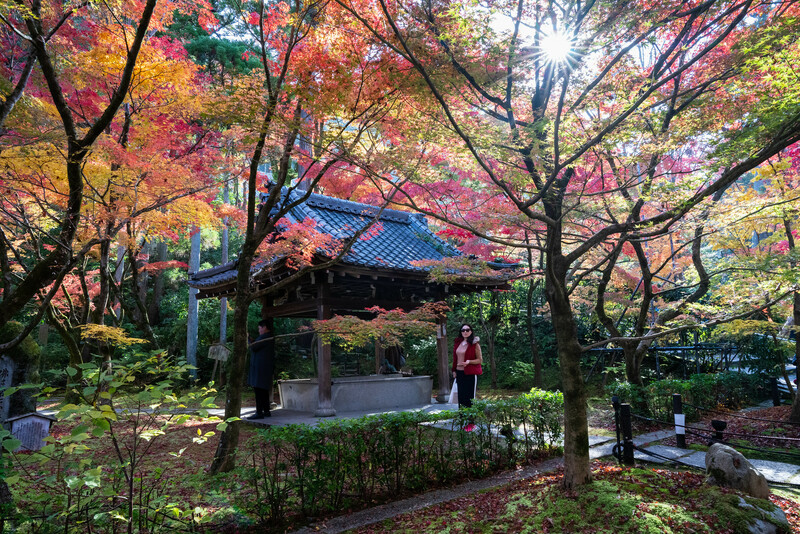 Among these are the beautiful Ryogenin, Kotoin, and Zuihonin with their mesmerizing gardens. Ryogenin has many dry landscape gardens. 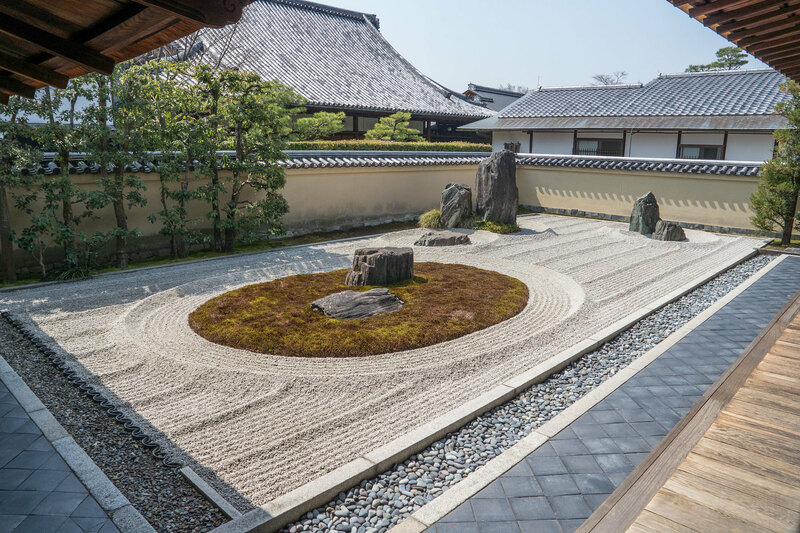 The main garden, as pictured, is particularly captivating and was designed to represent the universe (the gravel) with a turtle and crane (the moss and rocks). A quiet moment at Tofukuji temple last week in Kyoto. This garden in the front of Hojo is the most contrived work among the four gardens and is composed of four rock-composites symbolizing Elysian islands – from the east to the west named "Eiju, Horai, Koryo, and Hojo" – placed on the sand garden-floor "Hakkai" (meaning the eight rough seas) and five moss-covered sacred mountains at the right corner, the west side. Easily my new favorite place to visit in Kyoto to relax and take a moment to appreciate the beautiful surroundings. I can only image what this place would look like in Autumn! Every year during fall, visitors from across Japan and the globe flock to Tofukuji to see the lush autumn foliage at this temple. Tofukuji’s covered Tsutenkyo Bridge is especially scenic and is lined with stunning crimson maple trees. Besides its foliage fame, Tofukuji is one of the Kyoto Gozan and has great importance in Zen Buddhism. It has the largest monastery in Kyoto and its name originates from two magnificent Nara temples, Todaiji and Kofukuji. Another member of the Kyoto Gozan and a World Heritage Site, Tenryuji is located at the foot of the resplendent Arashiyama Mountains. This temple’s beautiful Sogen Chiteien stroll garden has gorgeous views of Arashiyama and a large pond. The grounds are expansive enough that even on the busiest of days one may enjoy a peaceful visit. Visitors can also experience the intense and awe-inspiring gaze of a cloud dragon painted on the ceiling of the temple’s Hatto (Dharma Hall). The name Ginkakuji, or Silver Pavilion, can be a little misleading. The temple’s exterior is completely different from that of its Golden Pavilion counterpart. This does not mean it isn’t a gorgeous temple. The understated wooden structure of the temple’s Kannon Hall has an understated beauty and its grounds complete with moss and dry landscape gardens make one of the most refined temples in Kyoto. 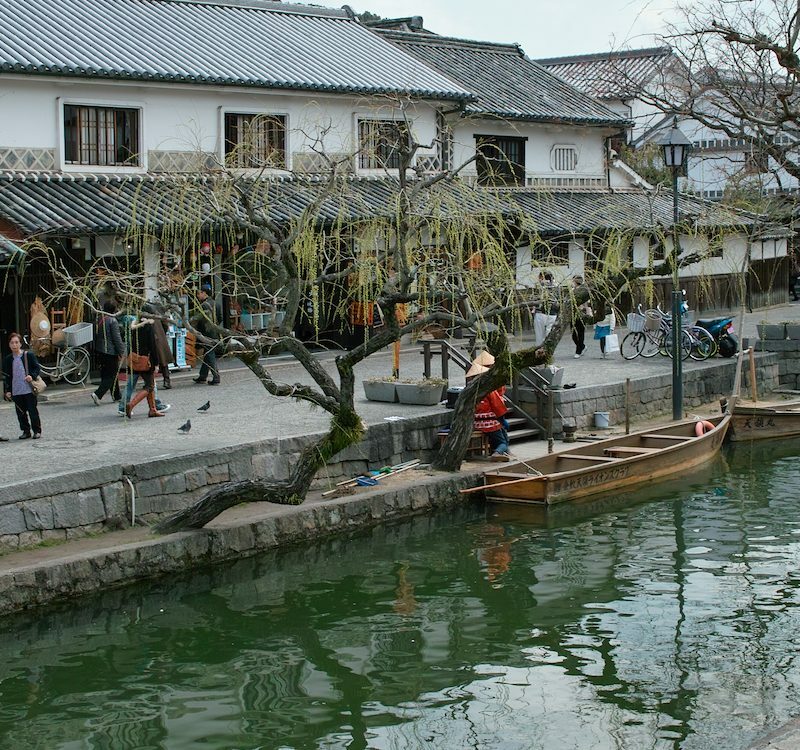 It is also one of Kyoto’s many World Heritage sites. #kyoto | #japan Toji is one of Kyoto’s oldest temples. It was founded as a guardian temple for the city in 796 just two years after Kyoto was established as the imperial capital. On the 21st of each month there is a massive flea market here, which transforms the peaceful sanctuary to a lively and colorful festival of commerce. It may surprise you to know Toji’s five-story pagoda is the tallest wooden tower in Japan. At 54.8 meters (180 feet) the pagoda is clearly visible in Kyoto’s skyline. The temple grounds are pretty year-round with beautiful foliage and flowers. Toji belongs to the Shingon sect of Buddhism and is another of Kyoto’s many World Heritage Sites. The temple also hosts an enormous flea market on its grounds on the 21st of each month. Eikando has some of the greatest fall foliage you will ever see in Japan. 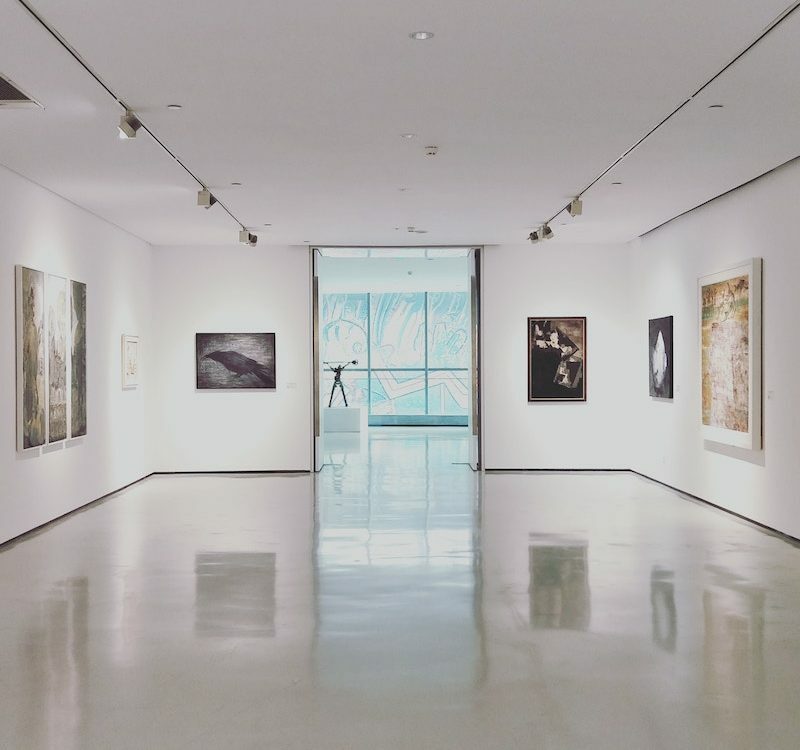 The shades are abundant, with each more brilliant than the next. The garden is also lit up at night during this season with all the gold and red hues beautifully illuminated. Regardless of the season, Eikando is worth a visit at any time of the year for its gorgeous mossy grounds and stone bridge crossing the Hojo pond. The temple is also a place of worship of the Amida Buddha, with the temple’s most sacred item being the Mikaeri-Amida Buddha statue of the Buddha looking over his shoulder. There's something soothing about Zen rock gardens, and once you add cherry blossoms to the experience, you'll never want to leave. This World Heritage Site is well-known for its exquisite Zen dry rock garden. Belonging to the Myoshinji school of the Rinzai branch of Zen Buddhism, Ryoanji is thought to have one of the most beautifully preserved karesansui (dry landscape) rock gardens. The rock garden is designed for contemplation and does not represent anything in particular. Another interesting anecdote about the garden is that there are 15 stones placed throughout the garden yet the viewer cannot possibly see them all at once from any position on the veranda. Visitors may enjoy sitting and reflecting or meditating before the rock garden. You can also take a stroll and see other areas of the temple like the water garden, the teahouse, and more. Temples are sacred places and should be delicately viewed with deep contemplation. 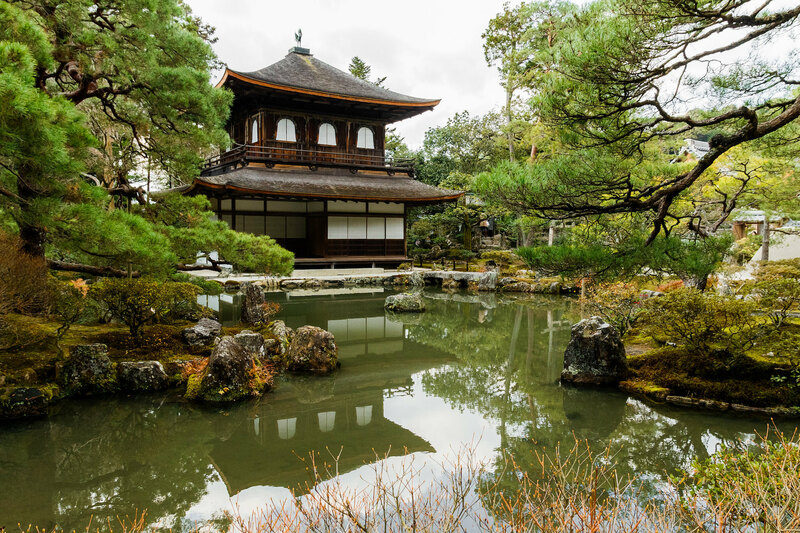 On your next trip to Kyoto, take your time to enjoy the tranquility at any one or all of these cultural landmarks and meditate on their significance in Buddhist and Japanese culture. Looking for more Kyoto travel ideas? Check out our 48 Hours in Kyoto guide! 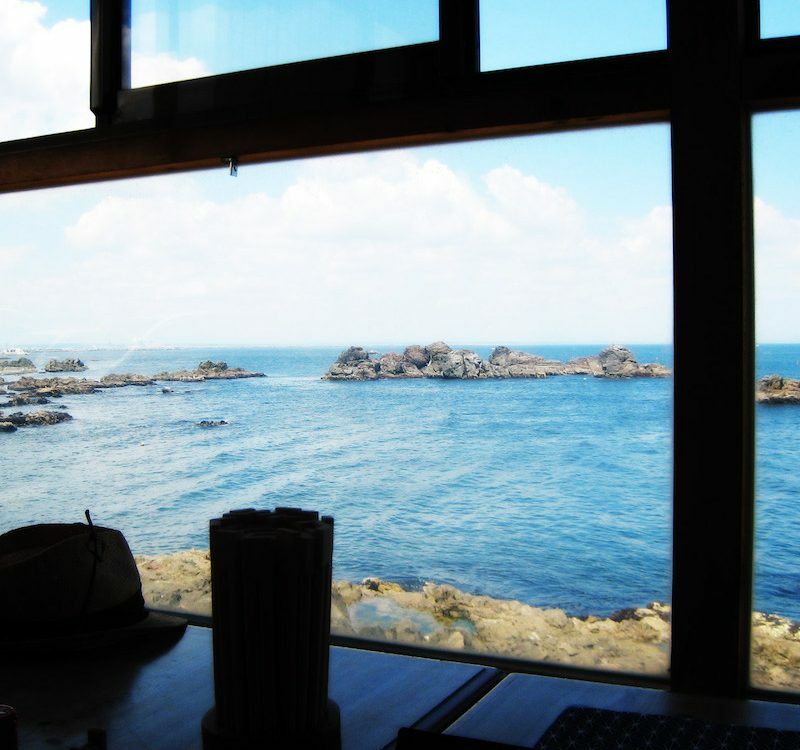 Don’t forget to join our Facebook, Instagram, and Pinterest for all the latest about Japan. 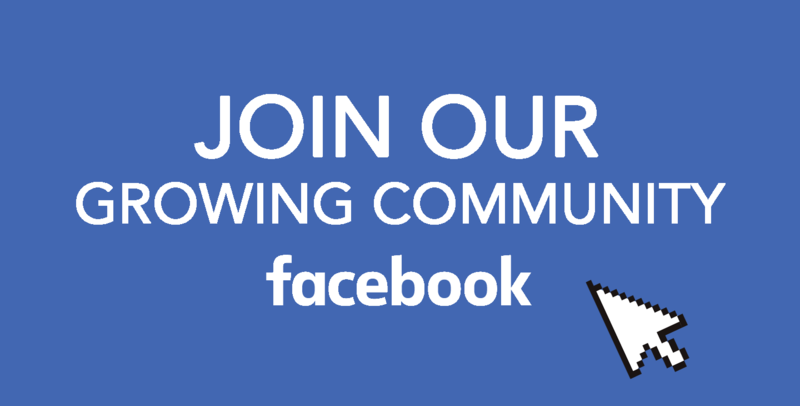 Also, join our Facebook Group and discuss more about Japan. 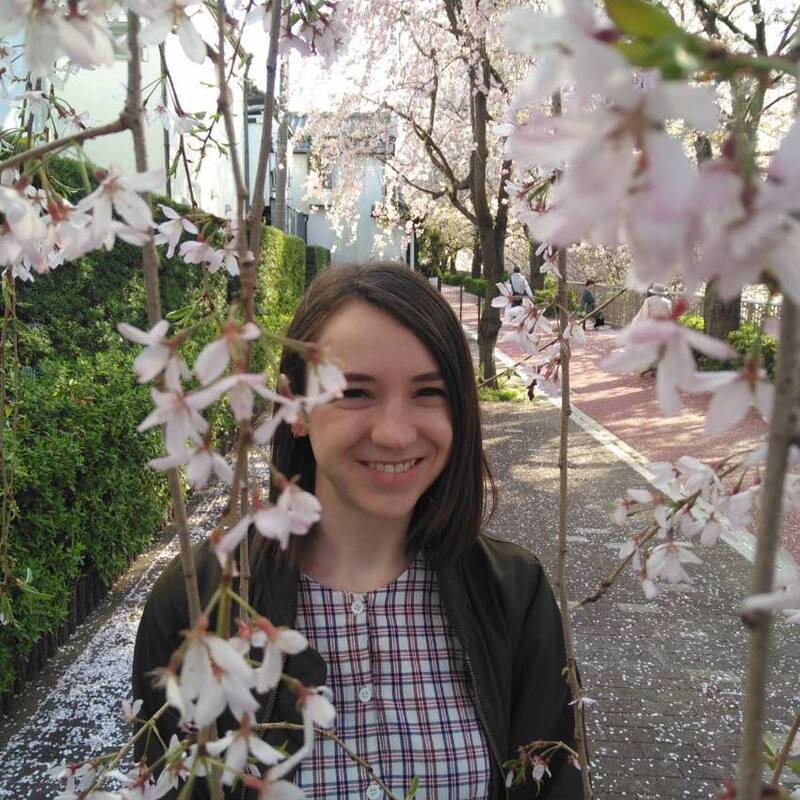 Samantha Cosby is a freelance writer based in Tokyo. She enjoys spending time in nature, following pet accounts on Instagram, and stumbling upon random shrines in Japanese neighborhoods.